It's been quite some time since I've been out spotting with some ground vehicles around my area. 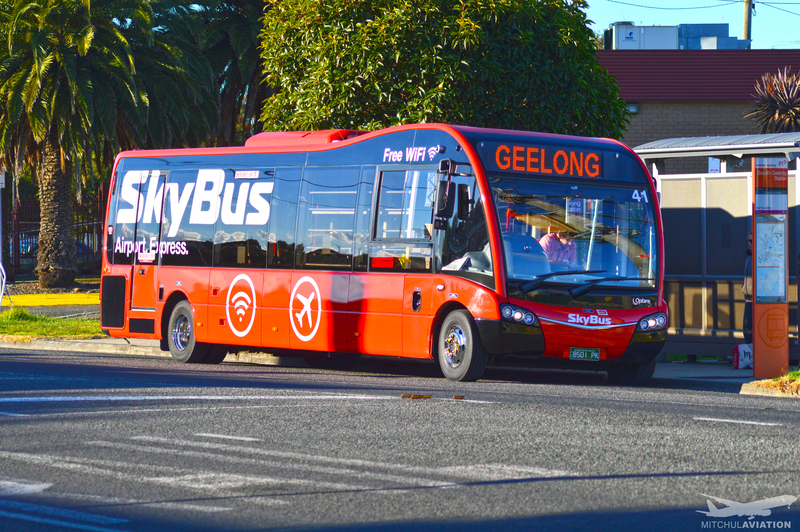 I thought I'd go out and get a shot of the new SkyBus service in Geelong that started yesterday, and because it was such a nice day I ended up getting quite a few shots. So here they are! The vehicle in question, Skybus #41 (Optare Solo) sitting at South Geelong station after a short run from Avalon Airport. CDC Geelong #90 (Volvo B10BLE, Volgren "CR221L") headed to Deakin University from North Shore Station on Route 1, Geelong's version of a SmartBus route. McHarry's #2 (Scania K280UB, Express) setting down out the front of Kardinia Park. 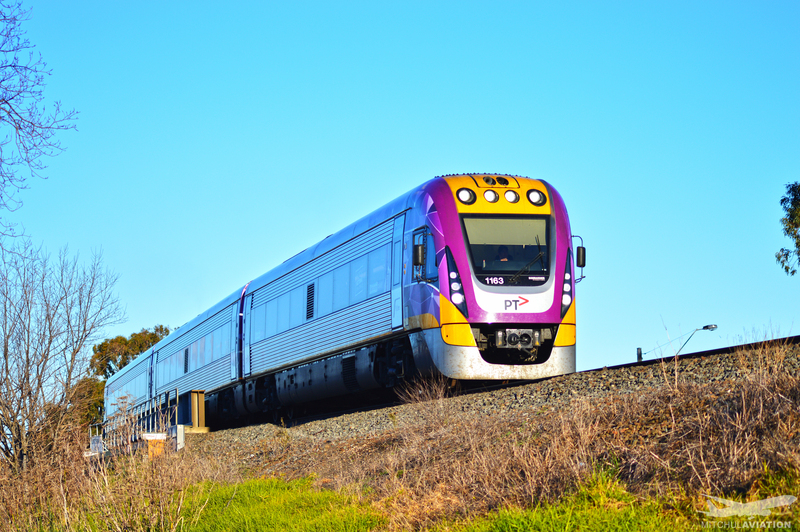 Vlocity 160 set VL63 (1163-1353-1263 leaves South Geelong station headed to Southern Cross in the afternoon peak. McHarry's #175 (Scania K280UB, Express heads down the coast to Jan Juc. One of the last of the K280UB units to be delivered to McHarry's, #188 heads down to Deakin Uni. CDC Geelong #130 (Volvo B7RLE, Volgren "CR228L" heads into the CBD. Another unit headed to Deakin Uni - McHarry's #158 (Scania K270UB, Express). One of only two Volgren CR228L bodied units in the McHarry's fleet, #34 (Mercedes-Benz O500LE, Volgren "CR228L") heads back into the Geelong CBD. VLocity 160 set VL64 (1164-1364-1264) and another unit stabled outside of South Geelong station before returning to the city. Last edited by Mitch on Wed Jul 12, 2017 11:14 am, edited 1 time in total. CDC Geelong #142 (Volvo B7RLE, Volgren "CR228L") and McHarry's #150 (Mercedes-Benz OH1830LE, Express heading different ways out of Geelong Main Station. One of two Irizar i6 units in the McHarry's fleet, McHarry's #66 (Scania K360EB, Irizar i6) heads down past South Geelong station on a charter. As always – comments, questions and criticisms are all welcome. Seeing into the future are we?